The Latest iPad News page is all about bringing you the latest information from around the world about the Apple iPad and associated products such as the iPhone. Major iPad related stories and reviews from across the world, are presented below through the excellent Google news feeds. This is your one stop shop for finding lots of varied and interesting articles from all four corners of the globe. This is another page I often stop by frequently to see what's going on in the world of iPads, Tablet computing and Apple products in general. Do you have a passion for Apple technology, and specifically, the iPad? Do you want to be informed about what is going on in the Apple world? If you do, bookmark this pageand visit frequently! Top right of your screen you a variety of Social Media links such as the Facebook Like/Share buttons and my Twitter Feed. You can also subscribe to my site by clicking the RSS Feed icon next to where it says Recent Articles in the right hand column. In fact, all of the Social Media and Blog options of this page are available on all pages throughout my site. I think you will find them useful! Do you have an opinion about a story provided by the news feeds below, or an article you have recently read? If so, add a Facebook Comment at the bottom of this page. I very much look forward to reading and commenting on your contributions. Don't forget to take a look at the other pages in this series. iPad Revolution depicts the history of tablet computing, how we arrived at the Apple iPad abd the influence it has on our daily lives. 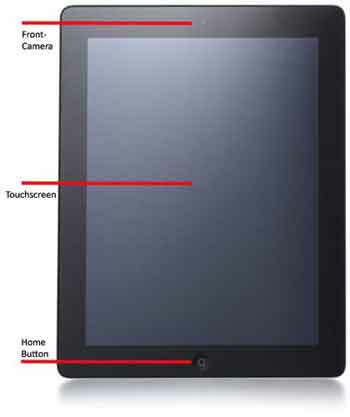 The iPad Manual tutorial focuses on how to use your device better. It is crammed with hints and tips including some brilliant video's by iPad experts. Find My iPad shows you the techniques and software available to locate your device in the event of misplacement or theft. iPad Updates shows you how to keep your device's Operating System (iOS) up to date. Note this tutorial is based on iOS v7. Following the release of iOS v8 in September 2014, this additional tutorial outlines the broad similarities in updating the two versions. After reading through these two articles, future iOS released should hold no fear for you!